World Bank « What Happened to the Portcullis? Improving customs efficiency can boost trade volumes and reduce the cost of doing business in the region, the Doing Business in the East Africa Community 2013 survey (Click hyperlink to view the report) has indicated. The study conducted by World Bank (WB) and the International Finance Corporation showed that a one day reduction in inland travel times could lead to a 7 per cent increase in exports. The report also noted that easing access to finance, improving infrastructure and empowering the private sector are key in the region’s integration process. Also, economies with efficient business registration, fair tax policies and efficient transport have a higher entry rate of new firms and greater business density, meaning that they are essential to ensure strong firm productivity and macro-economic performance. According to the report, lowering costs for business registration improves formal job opportunities as more new firms hire skilled workers. “This strengthens other sectors, including the education sector and legal systems,” said Chantal Umuraza, the director of Chamber of Industries. “Economies that rank high on the ease of doing business tend to combine efficient regulatory processes with strong legal institutions that protect property and investor rights,” she added. According to the report, financial market infrastructure, including courts, creditor and insolvency laws, as well as credit and collateral registries, improves access to credit and boosts trade. It also noted that entrepreneurs in EAC face weak legal institutions and complex regulatory processes compared with global averages and those of the developed economies. 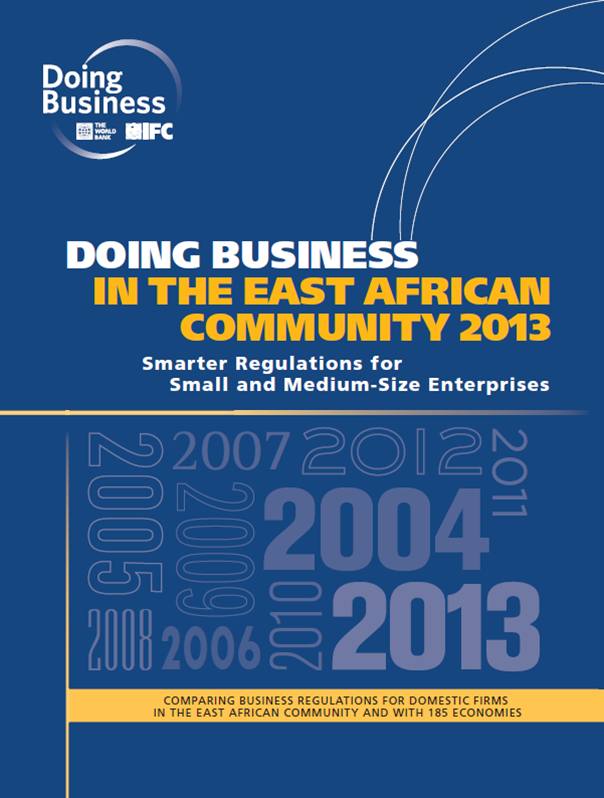 Despite instituting some reforms, the survey found that East African Community businesses still faced huge obstacles, while economies in other regions had improved business regulations. “As a result, EAC member states’ rating in this area has stagnated at around 117 over the past four years,” the report showed. According to the report, it requires only eight procedures and 20 days on average to start a business in the East African region. EAC economies accounted for two of the 11 regulatory reforms implemented in sub-Saharan Africa to make it easier for entrepreneurs to start businesses, the survey said. Rwanda still has the most efficient process in the EAC to start a business and 8th globally out of 185 countries surveyed. It is followed by Burundi at 28th position, Tanzania at 113, Kenya at 126 and Uganda trails at 144. In general, 3 of 5 EAC economies rank well below the regional average in all areas measured by the survey. Burundi eliminated four requirements to have company documents notarised, to register the new company with the commercial court and the department of taxation. As a result, it moved up 80 places in the global ranking on the ease of starting a business, from 108 to 28. To create the Global Competitiveness Index (GCI) score for each country, the WEF ranked more than 100 economic indicators divided into 12 broad categories, referred to as pillars, that quantify the extent to which a country is competitive. The economic indicators and pillars were then scored 1 to 7. To rank the countries, some economic measures were weighted more heavily than others, depending on how the economy was categorized. Based on WEF’s Global Competitiveness Report, which ranks 144 countries that make up almost 99% of the world’s GDP, 24/7 Wall St. reviewed the economies with the highest and lowest Global Competitiveness Index scores. Data from the World Bank and the World Health Organization were used to provide additional information on some economies. For a summary of the results, read – The World’s Best (and Worst) Economies – 24/7 Wall St. Private sector finally welcome in Africa? The acceptance of private sector participation in ports in Africa is gaining traction, and not before time. At least that’s what a meeting of port minds in Nigeria would have us believe. The Port Management Association of West and Central Africa at its 35th Council Meeting and 11th Round Table Conference held recently in Lagos, Nigeria, came out firmly in favour of increased private sector participation in ports as a means of achieving cost efficiency improvements. The Council meeting, held under the theme ‘Impact of Port Concession on the Socio-Economic Development of Our Countries’ ended with the resolution that, “member countries should put in place robust legal frameworks that will sustain the growth of Public Private Partnerships in port management systems”. Words that are encouraging to hear and that generally reflect a much changed position from a decade ago when there was still a strong belief in the public versus private system of port operation. Successful privatisation programmes such as the major one that has been implemented in Nigeria have, however, brought some insight into what the private sector can do better than the public sector and hence a changed perception, although the learning curve is by no means over in this respect. What would also help facilitate this however is improved process to the goal – what can perhaps be termed Step 2. In particular, concession processes that are not weighed exclusively by cash received considerations but place greater emphasis on technical considerations in the broadest sense of the word. The Southern African Trade Hub (SATH) presented the National Single Window (NSW) concept as one of the most effective tools in trade facilitation to the Ministry of Trade, Malawi Revenue Authority and other public and private sector organizations in Lilongwe and Blantyre respectively during May 2012. The presentation highlighted the great benefits accruing to countries that have implemented the NSW. A case study of Thailand was discussed, indicating how Thailand was ranking position 108 in the Trading Across Border Index by the World Bank in 2007 and remarkably improved to position 10 in 2009 after implementing their NSW. Malawi is currently ranked at 164 out of the 183 countries assessed. A single window is a facility that allows parties involved in trade and transport to lodge standardized information and documents through a single entry point to fulfill import, export and transit regulatory requirements. The benefits accruing to the NSW include substantial decrease in clearance time, substantial increase in government revenues, clear identification of roles and responsibilities in the clearance process and accurate, consistent and real time statistics. The presentation also highlighted that while there are different models of implementing the single window, the public-private partnership (PPP) model achieved results in a short period of time and was implemented efficiently due to the technical expertise and efficient processes brought in by the private sector. It was also emphasized that it was critical to have all stakeholders’ buy-in for the successful implementation of the NSW. Africa – ready for rich pickings? While on the theme of African economic and trade emancipation, it is interesting to consider the detailed analysis and evaluation occurring in regard to African continental readiness for information and communication technologies. 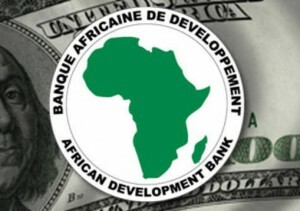 One such study is the Transformation Ready or eTransform Africa programme, a joint programme of the African Development Bank and the World Bank, in partnership with the African Union. Bear in mind that the WCO and African Development Bank recently signed a cooperation agreement to enhance the capacity of Customs administrations in Africa. Take stock of emerging uses of ICT across sectors and of good practices in Africa and in other continents, including how ICTs are changing business models in strategic sectors. Identify key ICT applications that have had significant impact in Africa or elsewhere and that have the potential of being scaled up, both from the public and private sectors. Identify binding constraints that impact ICT adoption and scaling-up of effective models, such as the need to develop a regional culture of cyber security, and measures to address these constraints, including in relation to the role of different actors and stakeholders (private, public, development community, civil society, etc). Commission a series of country case studies, to formulate a guide for rolling out and scaling up key applications in Africa, in each of the focus sectors, and thereby to identify opportunities for public/private partnership, as well as identifying areas where intervention can be reduced or eliminated. Develop a common framework for providing support in ICT for development to countries that brings together the operations of the two Bank Groups and their respective departments. Undertake a quick scan of ICT applications in the different sectors and identify a few applications that have had significant impact in Africa or elsewhere and that have the potential of being scaled up. The scan should refer to a matrix of selection criteria on which to select case study countries that are considered ripe for the creation of public/private partnerships. On this basis, specific country case studies will be chosen – two to three per sector — on a representative basis, for deep dive analysis. The selection of case studies should be made in consultation with the partners and the other consultants. A workshop should be organized by the coordinator firm at an early stage in the project to finalise this selection. Propose a course of action on how to include ICT in policy dialogue and planning with country counterparts on sectoral development goals and priorities. Experiences and best practices from other regions will be drawn upon to define the role of the public sector, bearing in mind that government is increasingly positioned as a lead user of ICTs as well as a regulator of the sector. The following article provides a disturbing – some would call it conspiracy theory – on what lies in store for the continent of Africa. Perhaps the colonial days will be viewed as mild should some of the suggested schemes materialise. East Asian economies have recorded marked improvements in their ability to enable trade, while traditional frontrunners Singapore and Hong Kong retain a clear lead at the top of the global rankings, according to the Global Enabling Trade Report 2012, released today by the World Economic Forum. The report, which is published every two years, also confirms strong showings for Europe’s major economies, with Finland and the United Kingdom both advancing six places to 6th and 11th, respectively, and Germany and France remaining stable at 13th and 20. Other large economies fare less well: the US continues its decline to 23rd, as does China (56th) and India (100th). Among emerging economies, Turkey (62nd) and Mexico (65th) remain stable while Chile (14th), Saudi Arabia (27th) and South Africa (63rd) climb in the ranking. ASEAN members Thailand (57th), Indonesia (58th) and the Philippines (72nd) also improve. Perhaps the proponents of OSBPs and a BMA in South Africa have not read this or have deeper insight into the matter. As well as ranking nations’ trade openness, the report finds that traditional notions of trade are increasingly outdated as global value chains require new measurements, policies and cooperation. The report also finds that security, quality and trade can be mutually reinforcing through supply chain integrity efforts, but a knowledge gap in identifying buyers remains an important barrier. The biennial report, covering 132 economies worldwide, measures the abilities of economies to enable trade and highlights areas where improvements are most needed. A widely used reference, it helps countries integrate global value chains and companies with their investment decisions. Who Will Be Africa’s Brazil? The World Bank International Trade Department has just launched it’s Global Preferential Trade Agreement Database (GPTAD). The GPTAD provides information on preferential trade agreements (PTAs) around the world, including agreements that have not been notified to the World Trade Organization (WTO). It is designed to help trade policy makers, scholars, and business operators better understand and navigate the world of PTAs.